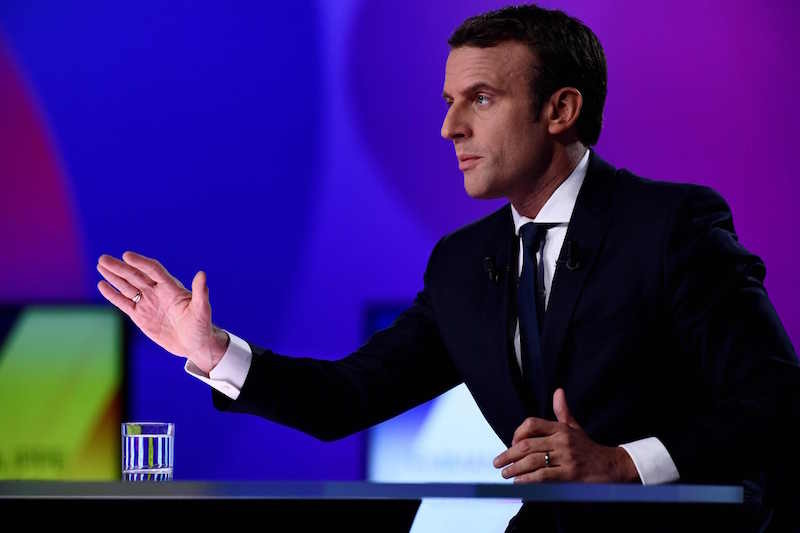 French voters go to the polls on April 23 for the first round of what has been the most unorthodox, unpredictable and potentially momentous presidential contest in recent French history. 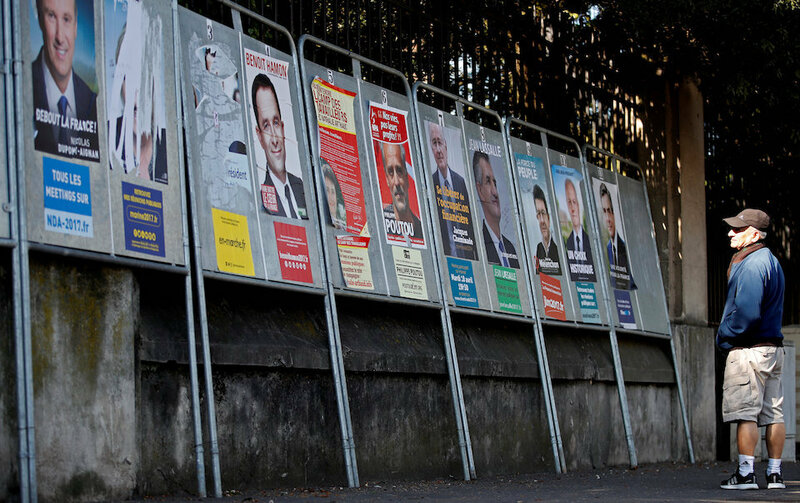 For the first time in 60 years, polls suggest that the two candidates who garner the most votes in the first round will likely not belong to either of France’s main parties. Marine Le Pen, the leader of the far-right National Front, is all but certain to advance to the May 7 runoff. There she is likely to face the independent Emmanuel Macron, a 39-year-old former investment banker and one-time economic adviser to President François Hollande. To our supporters, thank you. Newcomers, welcome to reader-supported Facts and Opinions, employee-owned and ad-free. We will continue only if readers like you chip in, at least 27 cents, on an honour system. If you value our work, contribute below. Find details and more payment options here. 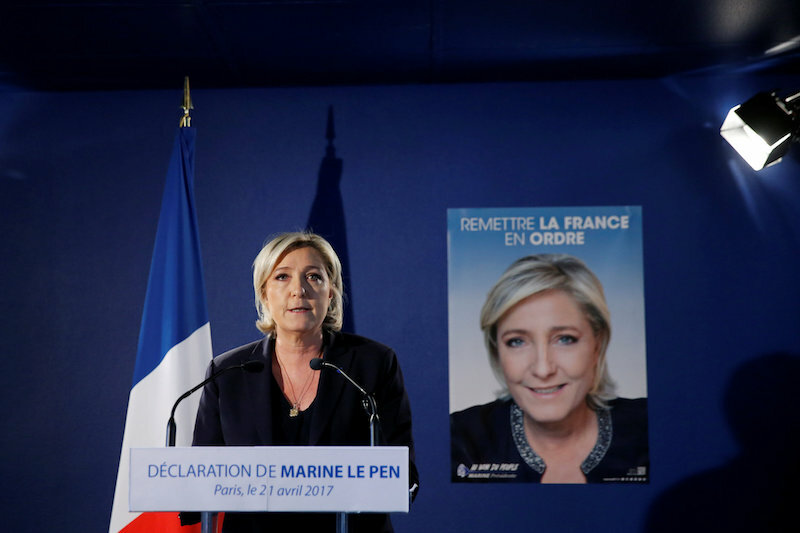 A Le Pen victory could lead to France’s withdrawal from the Eurozone and even from the European Union, a once unthinkable prospect that would have repercussions far beyond the continent. In a crowded field of 11 contenders, which includes a car factory mechanic, a Trotskyite high school economics teacher and a long-term activist who wants to colonise Mars, four candidates have a realistic shot at making it to the second round. In addition to Le Pen and Macron, they include former prime minister François Fillon, who is under judicial investigation for misuse of public funds, and far-left firebrand Jean-Luc Mélenchon. Le Pen and and Fillon ended their campaigns early after a gunman shot dead a police officer and wounded two others on the Champs-Élysées on the evening of April 20. The gunman was shot dead by police while attempting to flee. Islamic State has claimed responsibility for the attack, and Le Pen’s chances might get a boost from the incident because she has taken a hard line against Muslim immigration and has vowed to make the fight against Islamic terrorism an “absolute priority”. The National Front has been around for 45 years, but it has never been in a better position to capture the French presidency; it is no longer a fringe party. For the past year, Le Pen has been at or near the top of the polls. The question has never been whether she would make it to the second round runoff but who she would face there. Le Pen has vowed to “drastically” reduce immigration into France, combat the “Islamification” of society and renegotiate the terms of France’s EU membership. Saying that she wants France to be a “true country” and not “a mere region of the European Union”, Le Pen proposes to exit the Eurozone and reintroduce the franc, leave the EU’s Schengen border-free area and hold a national referendum within six months of taking office over leaving the EU. Emmanuel Macron, who has never held elected office, is neck-and-neck with Le Pen in the latest polls. A graduate of the École Nationale d’Administration (ENA), the traditional training ground for France’s business and government elite, he launched his En Marche! (Onward!) movement just over a year ago. Only 36 when Hollande appointed him to run the ministry of economy in 2014, he is one of the youngest people to ever hold a cabinet position in France. Macron presents himself as a reformist, pro-Europe, pro-business technocrat. He wants to preserve many elements of France’s social model while enhancing the country’s global competitiveness. He is a strong defender of European integration, and has said that he wants to forge a new Franco-German partnership to lead Europe. He praised German chancellor Angela Merkel’s 2015 decision to welcome more than a million migrants and refugees into Germany, saying it saved Europe’s “collective dignity”. Still, many voters remain sceptical of Macron, pointing to his youth, inexperience and undistinguished record in government. Just a few months ago, François Fillon was widely considered to be a shoo-in for the Elysée Palace. A socially conservative free-market defender, he defeated former president Nicolas Sarkozy (his one-time boss) and former prime minister Alain Juppé to win the nomination of the centre-right Republicans last November. Accused of giving his wife and two children generous salaries for fictitious jobs as parliamentary aides, Fillon was last month charged with several counts of embezzlement. His support has steadily declined since the story broke in January 2017, and it now appears unlikely that he will advance to the second round of voting. France’s traditional left is also in disarray. Hollande, its first Socialist president since François Mitterrand’s tenure ended in 1995, is the most unpopular president in modern French history. With an approval rating that at one point sunk to 4%, Hollande is now the first sitting president in the history of the Fifth Republic not to run for reelection. Instead, the Socialist Party nominated Benoît Hamon, who beat out former prime minister Manuel Valls. Hamon’s campaign, which promises a universal basic income, has failed to gain traction; he is currently polling in fifth place. Unexpectedly, though, the radical leftist Jean-Luc Mélenchon, backed by the Communist Party, has made a late surge. He is now running neck-and-neck with Fillon in the number three spot, behind Le Pen and Macron. Mélenchon, who has called for a “citizen revolution”, opposes the EU and NATO, wants a 90% maximum income tax rate and to lower France’s official working week from 35 hours to 32. Most current polls concur that Le Pen and Macron will advance to the second round runoff next month, with Macron ultimately beating Le Pen by a 20-point margin. While a Le Pen victory remains unlikely, it is not implausible. Much will depend on voter turnout; a low showing is expected to help Le Pen. Her supporters tend to be more motivated to cast their ballots than those of other candidates. Current forecasts suggest that turnout may be as low as 65% in the first round. That would be the lowest in recent history (the previous low was 72% in 2002). If, in the second round, Fillon’s, Hamon’s and Mélenchon’s supporters opted to stay home rather than vote for Macron, Le Pen could eke out a narrow victory. Europe has had a number of important elections and referenda over the past year, but none with the gravity and significance of France’s presidential election. The EU will survive Brexit: the UK entered the European Economic Community, the EU’s precursor, late and was always lukewarm on the enterprise. But it would not survive a French exit. And a Le Pen victory next month may lead to the unraveling of both the idea — and the reality — of a united Europe. Richard Maher is a Research Fellow in theGlobal Governance Programme, Robert Schuman Centre for Advanced Studies, at European University Institute. This article was originally published on The Conversation. Read the original article. Next story: Security issues dominate key French vote, by Leigh Thomas and Marine Pennetier: The killing of a policeman by a suspected Islamist militant pushed national security to the top of the French political agenda on Friday, two days before the presidential election.